Fresh Water Coin Shaped Necklace Discounts Apply ! 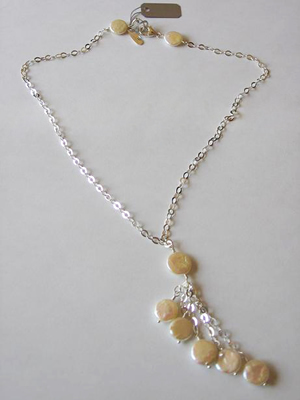 These coin shaped fresh water pearls drop down from a 17" chain to a full length of 19". This necklace is a must have, it can be worn with almost anything.